Hearthstone has been one of the best games of 2014 so far, but it doesn’t feel like a 2014 game at all. Its slowburn beta success and leisurely rolled-out single player mode have made its release feel like a neverending mexican wave around the BlizzCon stadium. 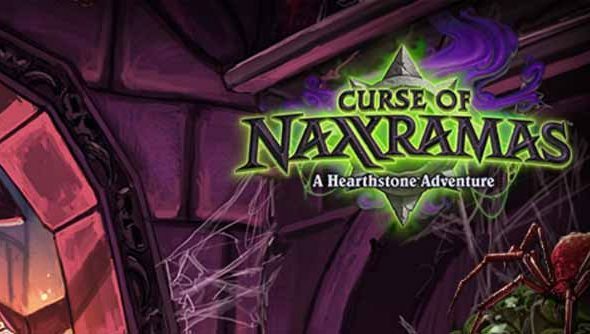 Here comes the Curse of Naxxramas campaign’s second part, to mark the CCG’s latest lap of honour. The Plague Quarter unlocks a new wing of the single player crypt, and with it three new bosses: Noth, Heigan and the arachnid Loatheb. Loatheb himself headlines the potential rewards as a legendary card, alongside the Stoneskin Gargoyle, Unstable Ghoul and Sludge Belcher. See our Nick’s breakdown of the cards coming in Curse of Naxxramas for more on their effects. The Plague Quarter will be the true test of Hearthstone players’ taste for solitaire: it’s the first chapter to charge for admission. Curse of Naxxrama’s Arachnid Quarter was available to players for free at release. For access to the rest, you’ll need to pay a onetime fee of £13.99 / €17.99 / $19.99, 2800 gold, or a combination of real and in-game currencies. Three more ‘wings’ will follow every Wednesday over the next month. Have you reshuffled your decks for single player? Or is the expressive range of Hearthstone emotes in multiplayer the reason you play?